The Royal Challengers Bangalore have lost all 5 matches and are desperately trying to find a win. They did play well for most part against the Kolkata Knight Riders, but they couldn’t hold their nerve towards the end with Russell. They will be looking to sort out their death bowling and also improve on their catching. The Delhi Capitals on the other hand, haven’t really dominated since their first game against the Mumbai Indians. Even the other game they won against the Kolkata Knight Riders was in a Super Over, which was a game they should have easily won. Their inexperience is showing and they will have to find a way to avoid collapses. However, the pitch at Bengaluru will suit the Delhi Capitals batsman who will enjoy the ball coming on to the bat and hence will look to put up a better batting performance. Out of the 21 matches played between the two teams, the Royal Challengers Bangalore have won 15 matches and the Delhi Capitals have won 6. At Bengaluru, the Royal Challengers Bangalore have won 6 out of the 9 games played. Virat Kohli, for the Royal Challengers Bangalore, will once again have to come up with the goods. He got a brilliant 84 of just 49 balls in the previous game and will have to repeat a similar performance to keep the batting innings together. Shreyas Iyer, for the Delhi Capitals, has been getting good starts but hasn’t gone on to get a big one. Playing at Bengaluru, with the ball coming on to the bat on a small ground, he will be looking to convert the starts into a big score. The Royal Challengers Bangalore will want to sort out their bowling. Umesh Yadav might find himself back into the team and Siraj is expected to miss out. Tim Southee did go for runs, but might be worth giving him another go, considering Nathan Coulter-Nile will not be available. The Delhi Capitals on the other hand might look at retaining the same team from the previous game. The pitch at Bengaluru is once again expected to favor the batting team. However, since it is an afternoon game, the ball might grip a bit more and hence will take more turn. The Royal Challengers Bangalore, in spite of losing all 5 games so far, will start favorites playing at home. 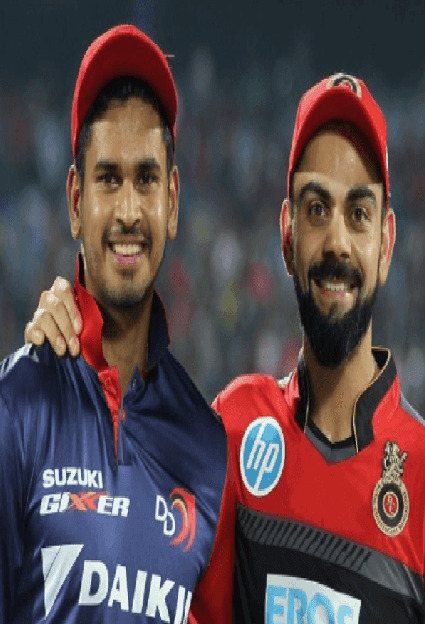 Royal Challengers Bangalore played well in the previous game against the Knight Riders, but bad fielding and poor execution against Russell took the game away from them. They will be looking to sharpen those skills and come back better. The Delhi Capitals have not going in the batting department and have collapsed a number of times. They will have to sort out their batting problems to stay competitive. They Royal Challengers Bangalore should look at using spinners early on as both Shaw and Dhawan don’t enjoy pace off the ball. Chahal will be key against Rishabh Pant who will look to flight the ball and get the googlies in against Pant who likes to play across the line. The Delhi Capitals on the other hand, should look to use Lamichhane against Kohli and AB Devilliers who have struggled a bit against quality leg spin. Getting Kohli and AB Devillers out early will be key to their chances.